Direct flights from Atlanta, NYC, Houston, LA, Miami, and others (also San Jose, Costa Rica and Panama City, Panama). The roads between the airport and resort are generally well paved. The airport is small, but decent. Airport transfer: The hotel offers private and shared transfers that you can prearrange with the concierge via phone or email. We booked the “shared” transfer and had it all to ourselves in both directions. The Andaz shuttle is $45/person each way for the shared transfer. For our second trip, we booked with this company for a cost of $59 each way (total). It came out cheaper, but you must pay with cash (USD accepted) and tips are not included. The trip is about 30 minutes, depending on how fast the driver drives. The dry season is November through April, though it’s a good destination year-round. 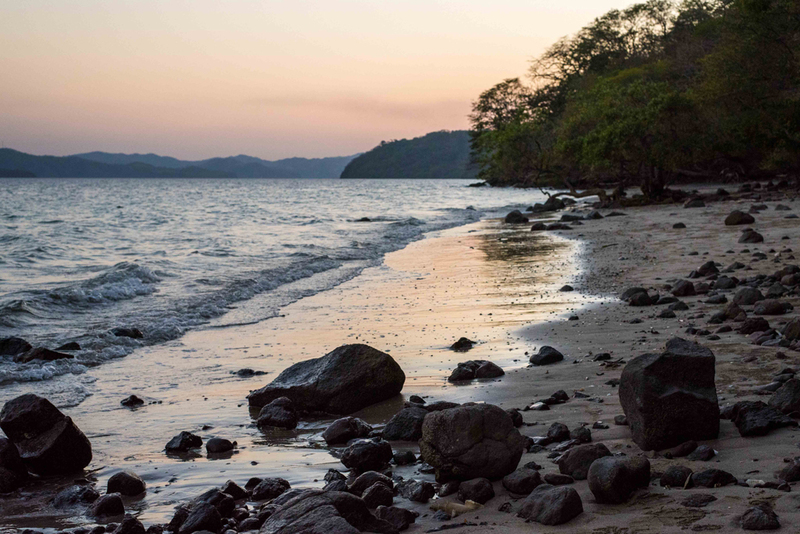 The Guanacaste region gets less rainfall than other areas of the country, so wet season isn’t nearly as wet. During dry season, the temperatures are most moderate in November and get hotter through April. The average highs during dry season range from 90-97°F. Wet season temperatures are more temperate (high 80’s). 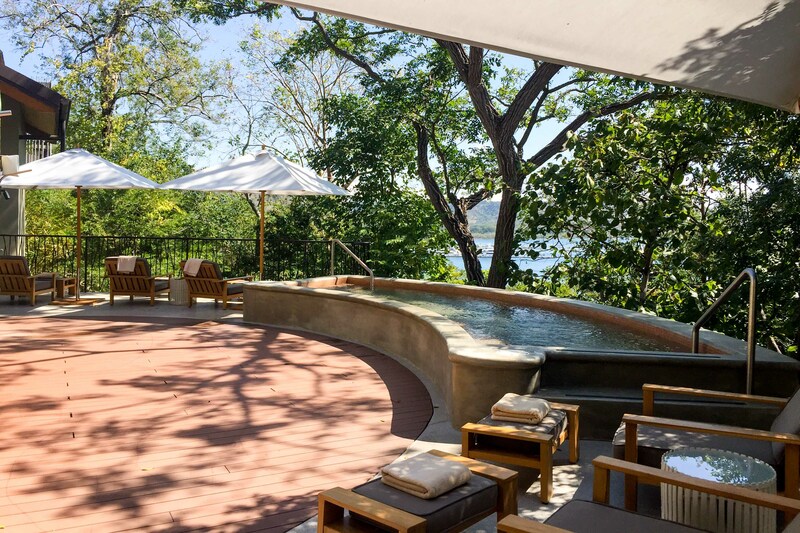 Arrival at the Andaz Papagayo is a wonderfully unique experience. First you’re dropped off at the open air lobby that overlooks the Culebra Bay and greeted with fresh fruit juice (in our case, pineapple juice flecked with mint). A receptionist checks you in on a tablet, then you’re whisked away to your room in a golf cart. The resort as a whole is incorporated into the landscape, preserving a lot of the natural setting. The rooms, restaurants, and spa are scattered across the property in a series of low-rise buildings. The resort is quite walkable for guests in decent shape, though golf cart transfers are always available by calling the concierge. At 560 square feet, the standard rooms are huge by any sort of hotel standard. Both the Andaz King and Andaz Twin rooms feature double vanities, balconies with a sitting area, and a large closet system which provides ample storage space, even for us over-packers. The resort was designed by a local designer who incorporated many natural elements, like solid wood headboards, pebble floors in the bathroom, and carved wood fixtures. Large windows and sliding balcony doors let in lots of natural light and gorgeous views of the bay and/or tropical forest. You may even see monkeys hanging around outside your room! The rooms are full of thoughtful details. Motion-activated lights illuminate the floor when you walk into the bathroom at night. Flip flops, sun hats, and a woven beach bag are available for complimentary use during your stay (all can be purchased to take home). 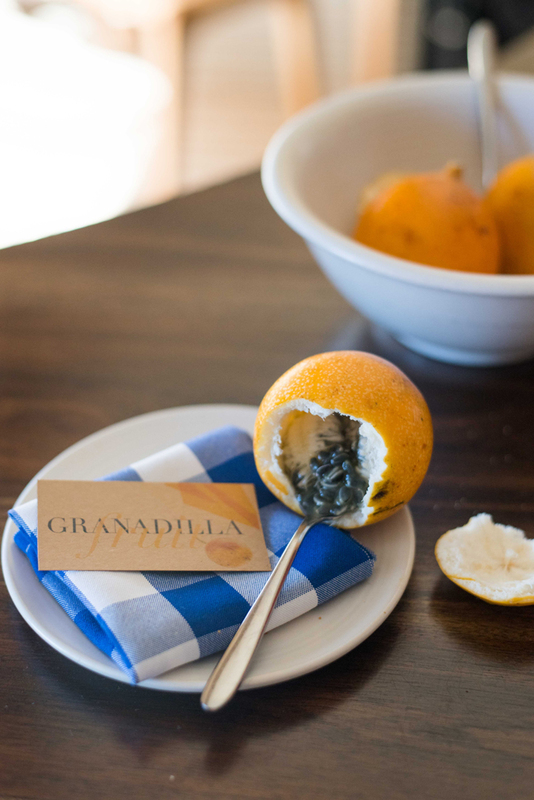 A local fruit snack (granadilla) is in your room upon arrival. The complimentary minibar featuring snacks and non-alcoholic drinks is replenished daily. Glass doors to the balcony slide open to create an open-air rainfall shower (there is also balcony access from the room). If you can’t manage to get totally unplugged during your stay, there is complimentary wifi resort-wide. Chao Pescao is a lively bar featuring creative cocktails, Latin-inspired small plates, and live music. It’s open for dinner only. Ask the concierge about cocktail classes at Chao Pescao! Rio Bhongo is a casual, open-air restaurant suitable for all ages. For breakfast, a gorgeous buffet is available (free for Hyatt Diamond members, pricey otherwise), as well as a selection of a la carte breakfast dishes and a coffee bar serving local coffees. Lunch and dinner menus offer Latin-inspired salads, sandwiches, entrees, snacks/sides, and desserts. The lunch menu is available in the restaurant and at the adjacent family pool. Ostra is an upscale seafood and ceviche restaurant overlooking the adult pool. Guests are greeted with a complimentary cocktail and can watch the chef prepare ceviche at a station in the lobby. The lunch menu includes salads, sandwiches, ceviches, and kebabs; it’s available in the restaurant at the adult pool. The seafood-focused dinner menu features customizable ceviches, starters, mains, and desserts. Don’t wait until your last night to try the ceviche! An extensive in-room dining menu is also available. All three restaurants have prices listed in US dollars. Be aware that a 13% tax and 10% service charge are added to all food and drink purchases–I believe this is common in Costa Rica–although you aren’t expected to tip much beyond that. The resort has two beaches, which have complimentary snorkeling, paddle boarding, beach chairs, and towel service included. Jet ski rentals are available for a fee (starting at $65 for a half hour). There is a multi-tiered family pool and an adults-only infinity pool, both featuring towel service, infused waters, and sunscreen stations. The resort offers daily classes (Spanish language, salsa dancing, cooking, cocktails, etc.) and nature walks, many of which are free. You should receive a schedule upon check in. 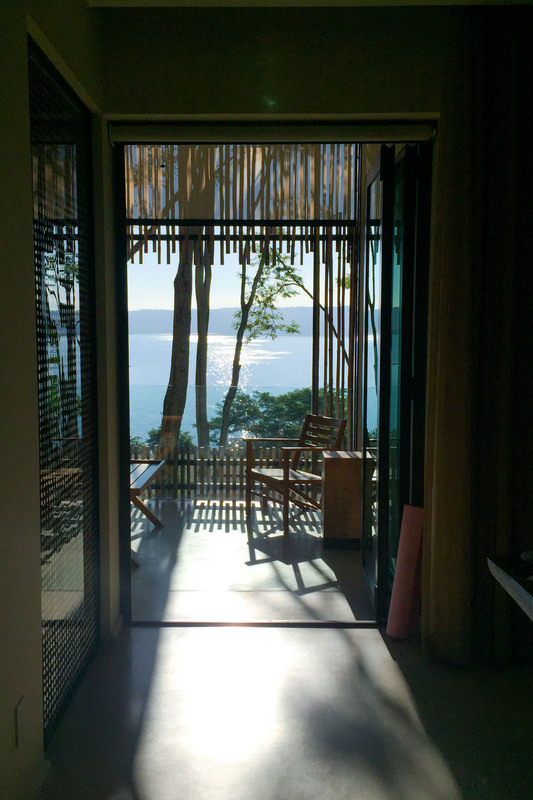 The Onda spa has open-air treatment rooms in what feel like tree houses overlooking the bay. Many of the treatments in full spa menu feature organic, Costa Rican ingredients. The main spa complex has a 24-hour gym, steam rooms, showers, and a small pool available for complimentary use. Downstairs, the gym has cardio equipment, weight machines, benches, and mats for use. Upstairs, the pool area has umbrellas, chairs with towels, infused water, chilled towels, and sometimes little monkey visitors! The men’s and women’s steam room and shower areas have lockers, toiletries, robes, and slippers available. 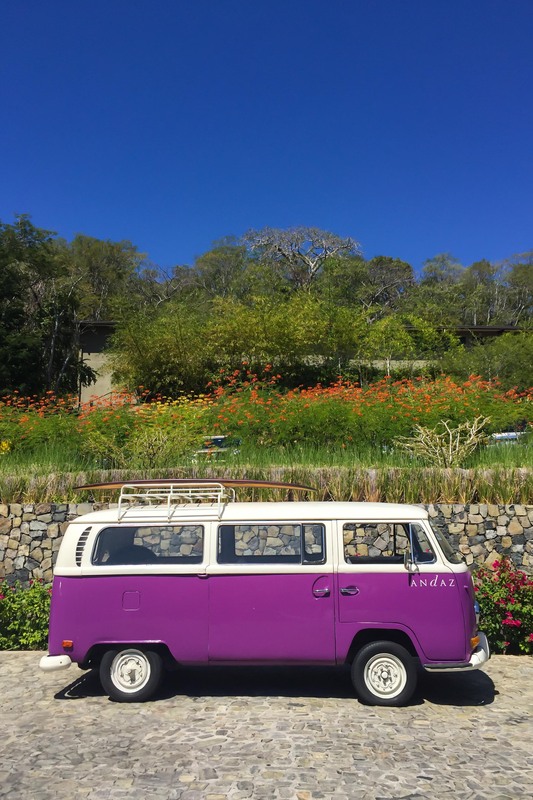 A free shuttle around the Papagayo peninsula gives guests access to a number of nearby activities (call the concierge to reserve seats). The marina has boat rentals and a water taxi to the other side of the bay. The Prieta Beach Club has a beautiful stretch of beach, a pool, food and drinks. 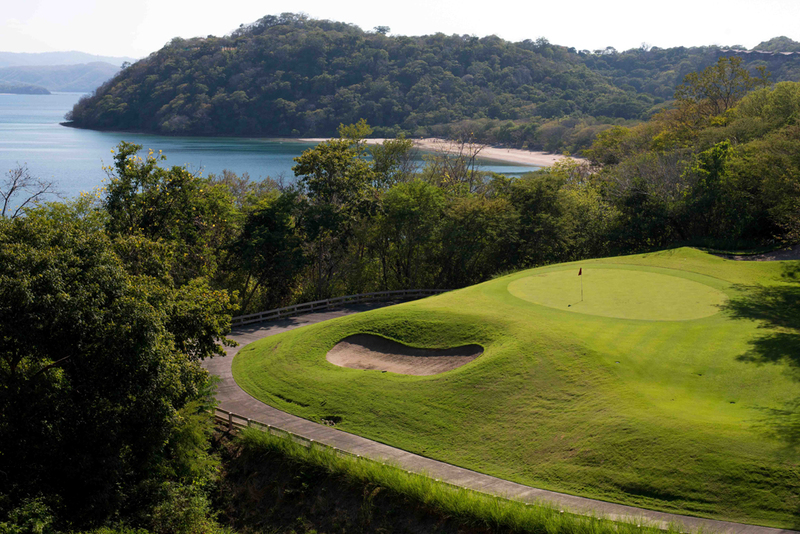 The Four Seasons has an 18-hole golf course and both Har-Tru and grass tennis courts (available for a fee). 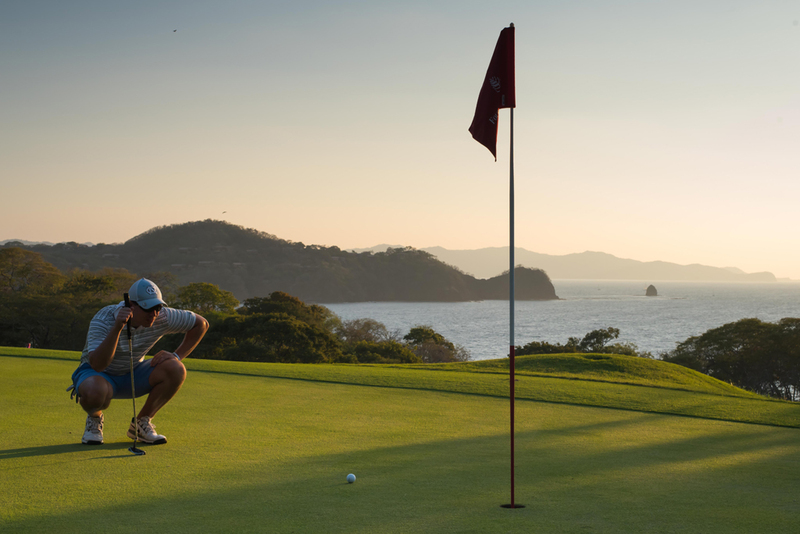 The Arnold Palmer Signature golf course features spectacular views in every direction from the end of the Papagayo peninsula. Golfers are treated to cold, scented towels and complimentary bottles of water throughout the round. 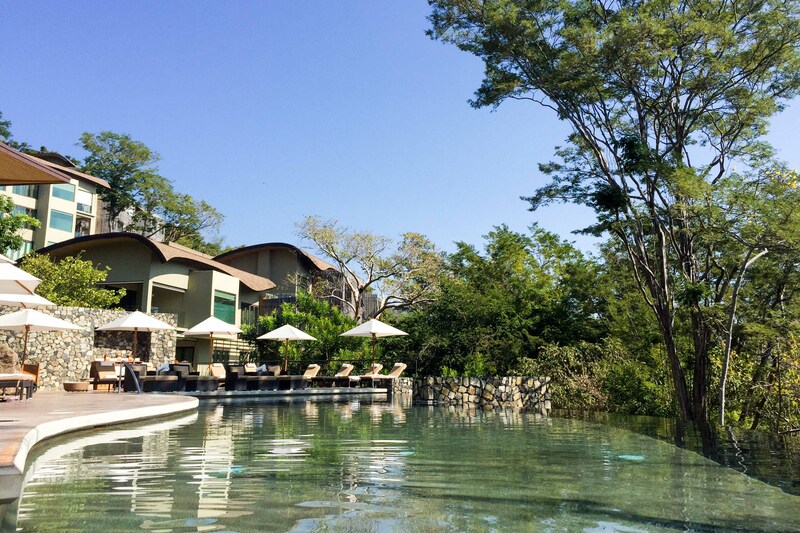 The Chase Hyatt credit card offers a free night in any category 1-4 property every year on your cardmember anniversary, and the Andaz Papagayo is an excellent use of that free anniversary night! 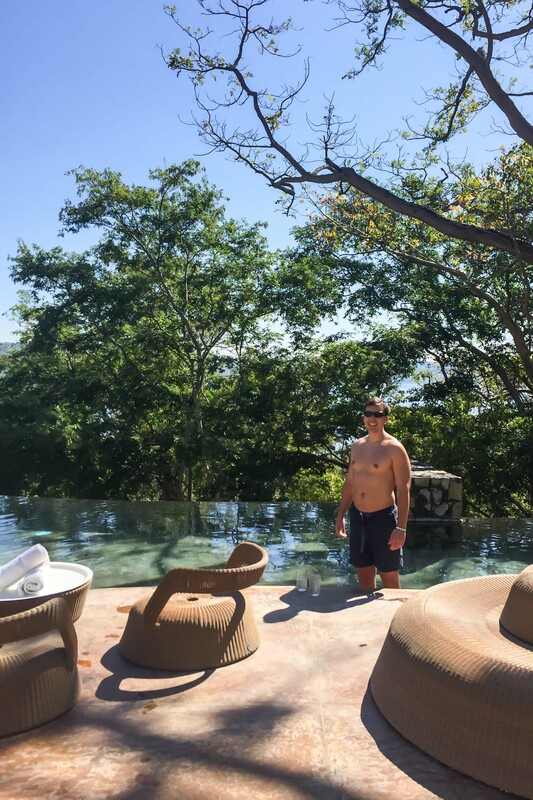 The level of service, included activities, and thoughtful extras at the Andaz Papagayo make you feel like a VIP guest. The adults-only pool gives couples a quiet, restful spot to hang out during the day. It’s easier to get to the Andaz from Atlanta than to the West Coast; plus there’s no jet lag because it’s in the Central time zone. Waking up for sunrise yoga sessions on our balcony overlooking the bay was a new level of bliss for me (the pura vida lifestyle is totally contagious!). This resort was the perfect spot for much-needed relaxation and a respite from the January cold! We traveled as a couple in January 2016 and February 2017.